Who Needs a Visa to Enter Austria? How to Apply for an Austrian Visa? Where to Apply for an Austrian Visa? The German-speaking country of Austria has an area of 83,871km2 in the old continent of Europe. It is one of the richest countries in the world by per capita GDP terms, and amongst the most powerful economies in the European Union. Located at the center of European traffic between east and west along the Danubian trade route and between north and south through the Alpine passes, the country remains a top tourism attraction in Europe. Foreign travelers can apply for the Austrian Schengen Visa since 1997 when Austria as an EU Member State also became a member state of the Schengen Area. In 2017 alone, 304,556 short-term visa applications were filed at the Austrian embassies/consulates around the world. It is estimated that 38.6 million tourists, including EU nationals, visited the country in the same year. A valid passport or travel document. Issued in the last 10 years and it should be valid for at least 3 months after your date of departure. A visa – if you are subject to Austrian visa regime. What is your purpose of visiting Austria? How long do you intend to stay in Austria? Where are you going to stay in Austria? Etc. And if everything looks okay, you will be allowed to enter Austria, and thus the Schengen Area. Please, make sure that the Austrian border officer stamps your passport when you enter the Schengen area. Without a stamp, you could be fined or detained from Austria. Nationals of third countries that have reached a visa liberalization agreement with the Schengen states, but were rejected from entering Austria or any other Schengen country. If you are planning to visit Austria for a short stay trip (up to 90 days), then you have to apply for a Schengen short stay visa to Austria, known also as a C-type visa. Austrian Airport Visa – for those who need to transit through one of the Austrian airports, to reach their travel destination country, outside the Schengen Area. Austrian Tourist Visa – for those wishing to visit Austria for holidays or sightseeing. Austrian Visitor Visa – for travelers who want to visit friends or family members residing in Austria. Austrian Business Visa – for business people who need to attend business-related activities in Austria. Austrian Visa for Official Visit – for Official Delegations coming to Austria on an official trip. Austrian Medical Visa – for people seeking medical treatment in Austria. Austrian Study Visa –for students that wish to attend a course for up to three months at an educational institution in Austria. Austrian Visa for Cultural, Sports and Film Crews – for people wishing to attend an activity in Austria that belongs this nature. What Documents are Required when Applying for an Austrian Schengen Visa? Austrian visa application form. Fill it completely and with sincerity. Do not forget to sign it at the end after you print it. Two identical photos. The photos should be of passport format – a recent whole-face capture with a light background. See photograph requirements & specifications. Valid for at least 3 months beyond your planned date of departure from Austria (the Schengen zone). And it should contain at least two blank pages. 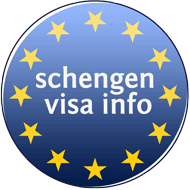 Copies of your previous Schengen visas (if applicable). Schengen Travel Insurance. Confirmation that you have travel insurance for Austria and the whole territory of Schengen, with a minimum 30,000 € coverage of medical emergencies. Learn how to buy travel insurance to meet the Austria visa requirements. A cover letter. In which you state the purpose of visit to Austria and you present a detailed trip itinerary. Round-trip Flight Itinerary. Containing the dates and flight numbers specifying entry and exit from Austria. Proof of accommodation. I.e. Hotel reservation for the whole duration of the intended stay in Austria. Find and Book Cheap Hotels in Austria! Proof of sufficient financial means for the period of stay in Austria. Proof of regular income generated by property, for the last 6 months. Birth certificate of the minor traveling to Austria. Austria application form signed by both parents. A notarized parental authorization to travel to Austria, signed by both parents / guardians if the minor will be travelling alone. *Note: When applying at the Austrian embassy/consulate in home country, the guardian or parent should accompany their under-age children. According to the reasons behind your visit to Austria, you will need to submit some additional documents. Following find the extra requirements that you need to provide, based on your purpose of traveling to Austria. Find out if you belong to the list of nationals who are required to obtain an Austrian Airport Transit visa. the purpose of travelling to Austria. the time frame (the date you enter and you leave Austria). Information on hotel/hostel reservations in Austria. Places you plan on visiting or activities you plan to attend. Proof how you will be financing your trip to Austria. Sponsorship Letter. When another person will be financially sponsoring your trip to Austria. It is also often called as an Affidavit of Support. a hotel/hostel reservations in Austria or a formal invitation letter from an Austrian resident. Invitation letter signed by the host. Your (visa applicant) Passport number. Invitation letter from the Austrian company you will be visiting and their detailed address accompanied with the dates of your visit. A certificate from your employer. In this letter should be stated why you will be traveling to Austria. Proof of trip financing. Regarding the applicant’s expenses during their stay in Austria, either the employer or the partner company must state coverage of expenses on the letter or invitation. An enrollment certificate allowing attendance of courses (school / university / language course / etc. ), in Austria. No objection letter from the Austrian educational institution where your are currently enrolled (if applicable). A local medical report. Issued from a doctor / clinic / hospital in your home country, confirming that you need medical treatment in Austria. A medical attestation from the hospital or doctor in Austria, confirming the date of your appointment as well as your medical situation. Payment receipt of medical fees. Official confirmation of the treatment/appointment by the receiving medical institution (hospital/clinic) in Austria. Proof that you have sufficient financial means to pay the medical expenses and other related expenses throughout your treatment. Invitation letter from the relevant body in Austria with details upon the nature of events or activities that are to be held in Austria. Detailed programme of the event in Austria. Proof of Austrian citizenship (ID card or consular card or certification of Austrian nationality or naturalization order). Find out where you need to apply for a visa to Austria. Choose the right Austrian visa type. Based on the purpose of your travel to Austria, choose the right visa type to apply for. Collect the required documents for a visa to Austria. Make sure you collect the right documents for the type of Austrian visa you are applying for and they all comply with the criteria as defined by the Austrian embassy or consulate in your country of residence. Make a visa appointment with the Austrian Embassy/Consulate or a visa application center in your country of residence. Attend the visa interview at the appropriate Austrian Embassy/Consulate/VAC. Who Can Apply for a Schengen Visa at the Austrian Embassy / Consulate / VAC? Since Austria is part of the visa-free travel area of Schengen, where you need to apply for a short-stay visa depends on a few factors. You cannot apply for a short-stay Austrian visa from a country in which you are currently on a visa. How Long Does It Take to Get an Austrian Visa? The processing time for an Austrian Schengen visa may take up to 15 days, in a normal situation. In some cases, this period may be extended up to 30 due to the number of applications the embassy/consulate of Austria is receiving, or the uniqueness of your case. Still, exceptional applications may take up to 60 days to be processed by the Austrian embassy/consulate. That is why you are highly recommended to apply for your Austrian short-stay visa as soon as you can, but no earlier than three months prior to your trip to Austria. How Much Does It Cost to Apply for an Austrian Visa? Depending on your age, nationality and some other factors you could be exempt from paying the Austria visa fee, or at least you will have to pay a lower fee. Check the list of the Schengen Visa fees for more information in this regard! How Long Can We Stay in Austria Without a Visa? If you are the national of a visa-exempt country, you will be permitted to remain in Austria for up to 90 days, within a 180 days period. The day you step in Austria is counted as day one, and the day you leave is counted as the last days. Remember that the time you spend in other countries within the Schengen Area, is also counted in this period. On the other hand, if you are the national of a country that still has not reached a visa-free agreement with Austria and the other Schengen members, you will not be allowed to enter the Austria without a visa, at all. U.S. citizens don’t need to obtain an Austrian visa when traveling to Austria for up to 90 days for tourism and business purposes. However, US nationals are required to hold a US passport, which should be valid for at least 3 months beyond the period of their stay in Austria. Can I Extend My Schengen Visa in Austria? Yes, you can extend your Austrian Schengen visa, but only in exceptional cases where new facts and special reasons arise after entry in Austria. Please read How to Extend a Visa in Austria to understand in what circumstances and what are the conditions you must fulfill in order to be eligible to extend your Austrian Schengen Visa. Can My Austrian Schengen Visa Be Revoked? Yes, your Austria visa can be revoked, by the competent Austrian authorities. The annulment of an Austrian visa happens when it becomes evident that the conditions for issuing the visa are no longer met. Failure of the visa holder to provide the border officer, with the entry requirements, may also lead to a decision to annul or revoke the visa, though not automatically. Please consult the Austrian Embassy or Consulate in your home country for the updated Austrian visa and entry requirements!